When I grew up, BBC history programmes were drawing attention to the latest academic research, organising debates, reporting on newly unearthed archaeology or documents, partnering with serious historians. Now BBC History serves to distribute work within the BBC’s cabal of presenters and journalists, to elevate junior historians as long as they act as talking heads for the liberal consensus, to starve rigorous historians of publicity, to pay off BBC insiders or loyalists with book spin-offs, to sully traditional fields with social justice, to rewrite history so that all problems can be blamed on conservatives, to use history as a platform for Left-wing agendas. Take the first episode of the BBC series Blitz: The Bombs that Changed Britain, re-broadcast last week. First, we’re told the familiar formula: claims of new evidence, claims to show documents that have never been shown before, claims to use new technology to bring history to life, claims to give voice to people who have been ignored by traditional/conventional historians. 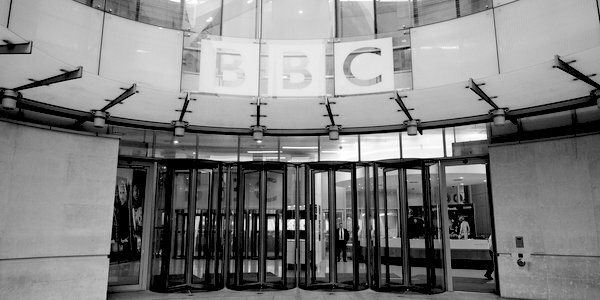 The BBC is all about entertainment and progressiveness – and subordinating the truth. We’re shown a single bomb dropping on a single house (the special effects are impressive). The scene is repeated from different angles. It’s like the opening of a video game: your kids will feel at home. Everything is vague. The claims are repeated over and over again. All will be revealed, we are promised: just stay tuned for the full hour to learn a thesis that could have been reported in minutes. This single bomb, we are promised, will change Britain: it will create the welfare state. I was intrigued – I could not imagine what the link could be. Only the BBC could turn a tragedy into a Left-wing fantasy. That bomb crashed through the house without exploding. The policy in the first days of the Blitz was for neighbours within 600 yards to be evacuated until the bomb could be defused. Some made their own way elsewhere; others gathered in the nearby school which had been designated as an immediate aid post; buses were promised to take them to higher-level evacuation centres, but the buses were misdirected, the school was bombed, and hundreds were killed. BBC History turns this tragedy into evidence for traditional, conventional, conservative resistance to a welfare state. Huh? Over the course of an hour, a clumsy, jaw-droppingly arrogant and prejudicial thesis emerges: traditionalists don’t care about the working class, so traditionalists don’t care to provide for the safety of working-class people; the programme is sure that all the victims are working-class because – the voice-over confidently declares – the bombs fall on typically working-class terraces; the working class are let down (a Left-wing journalist-campaigner pointed this out) and hey presto, after unexplained connections, we get social justice in the form of the welfare state. To make the arc of this narrative from tragedy to triumph, the working class are given only two roles: victims and change-makers. Some airtime is expended on photographs and childhood memories, reinforcing the prejudice that only the working class make tight, happy, inclusive communities. Presumably bombs that fall on any class but the working class aren’t tragic and don’t warrant a documentary. The programme doesn’t admit its contradictions: the working class were happy within their enclave, but also unwillingly ghettoised by those pesky traditionalists; the working class are both powerless victims but powerful change-makers. Not a single academic historian is interviewed. Descendants of the bomb victims are confronted with information intended to make them weep; the cameras dwell on their anguish gratuitously, then cut to the socialist triumph as a solution to our sympathies. Unseen interviewers put words into the descendants’ mouths, which are edited so that everybody seems unanimous: the world before socialism was bad. In fact, the September 1940 bombing of Canning Town in the East End of London had nothing to do with the welfare state that was legislated in 1945. The policy that contributed to the tragic deaths in the school was intended to manage risks in war. Today that policy would be situated in a portfolio termed ‘domestic security’ or ‘homeland security’. At the time, it was categorised within ‘civil defence’. None of these portfolios has anything to do with the welfare state. The bombing of Canning Town was an important case in the development of home security, and that’s it; that’s why I was invited to watch the programme – for comment within my area of expertise. Instead, the programme pretends that deaths due to an aerial bomb are evidence against such things as private healthcare. In fact, they are evidence only of a mismanaged but well-intentioned policy to manage the complex risks of war. The policy was trying to improve the safety of neighbours to an unexploded bomb. The policy looks sensible when the provisions work, but not when the transportation doesn’t arrive, the evacuation doesn’t happen, and the evacuees remain exposed to risk. The policy and provisions would be no different today. People raised on BBC History are primed to view every tragedy as a case of social injustice, to attribute any policy or referendum that they don’t like to racism or class-ism. My advice is: turn off BBC History; read history, don’t view it; be selective. Why not go further? Ditch your TV altogether, watch documentaries selectively online if you must watch documentaries at all, stop paying your TV licence fee, and stop funding an incestuous corporation which is teaching a new generation that history is something you interpret to fit today’s social agenda. The article first appeared in Comment Central and is republished with kind permission.